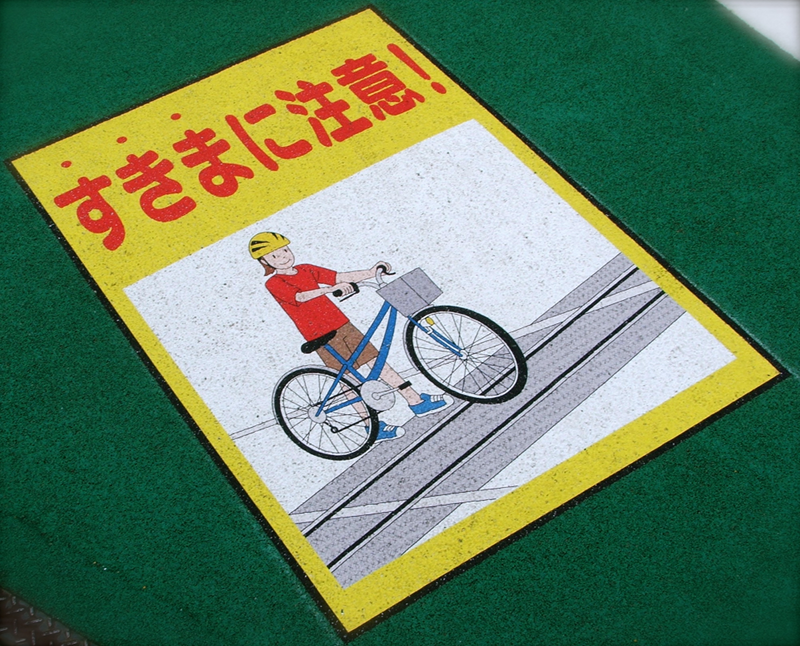 This newly painted sign at a nearby railway crossing warns cyclists to be careful not to get their tires caught in the rails. I've not seen this sign before, but at this particular crossing the tracks don't run perpendicular to the road and as a result they're easier to get accidentally caught in. I couldn't help but notice the subliminal message. Can you spot it? That's right, the helmet. Helmets aren't compulsory in Japan, but they are being passively promoted in a number of ways. How long before the misguided start trying to make helmets mandatory in Japan? At the moment we have the choice to wear a helmet or not, I'd hate to see that choice taken away.